You will love this Scott Kay Javlin Screw-Step White Gold Men's Wedding Ring - model number C2010C70M6. 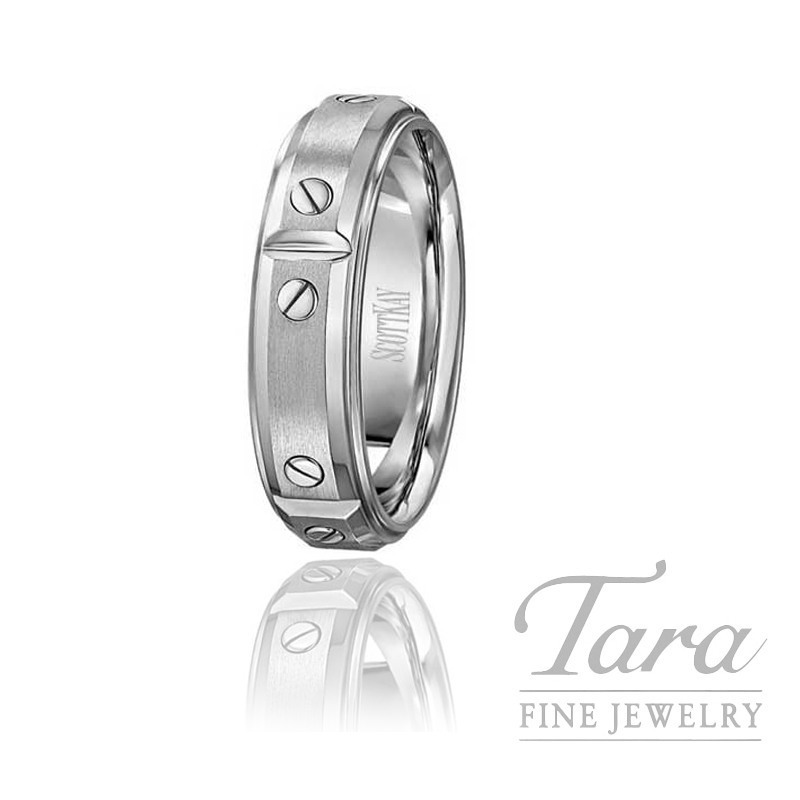 This exquisite Men's Wedding Band features the classic shimmering of radiant 18k White Gold. While this ring might showoff beautiful classic elements, it is not your traditional wedding band. This brilliant band showcases a stunning satin-finished center stripe and decorative screws, making this band the perfect combination of classic luxury and unique, modern design. A unique band such as this is sure to be the perfect symbol of love for a one of a kind man! Servicing the city of Atlanta for over 30 years, Tara Fine Jewelry Company carries the most fashionable luxury brands. You will marvel at our fine selection of gentlemen gifts. We invite you to visit Tara Fine Jewelry Company, Atlanta’s #1 choice for quality accessories. Our exclusive and ever-sought after William Henry accessories and designer Swiss timepieces are sure to give him the surprise of a lifetime!